Host4Yourself owns its own hardware and network equipment. We proudly manage our own team of in-house staff and on-site techs with full access to our own equipment. H4Y utilizes the resources and power of 5 geographically distributed datacenter facilities in the United States for our website hosting, virtual dedicated hosting, dedicated hosting, and colocation hosting clients. Peer 1 in Los Angeles, CA is our premier home to West Coast clients utilizing our "Platinum Network". 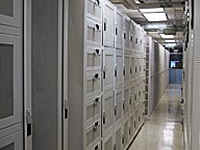 Peer 1 operates an industry leading, state of the art datacenter which offers complete redundancy in power, HVAC, fire suppression, network connectivity, and security. H4Y's famous ZERO Downtime, ZERO Packetloss guarantee ensures 100% network uptime for MISSION CRITICAL applications and the lowest latency in the industry to the West Coast of North America, China (particularly China Telecom), and Asia/Pacific regions. Peer 1 boasts strategic peering relationships with over 500 networks and a gigantic private network with POPs in LA, San Jose, San Antonia, Dallas, Atlanta, Miami, Ashburn, New York, Toronto, Chicago, Seattle, Vancouver, Montreal, London, and Amsterdam. DC74 in Charlotte, NC is home to our East Coast line of dedicated servers and colocation products. 4MW of power and 68,000 square feet gives H4Y plenty of room and power at DC74. Extreme bandwidth allocation allows us to offer unbeatable deals on unmetered and high bandwidth packages. The Charlotte climate is appealing due to its mild cool winters and lack of extreme weather. Charlotte enjoys being far enough inland to avoid suffering severe damage from hurricanes, and the mountains to the west are a natural defense against tornadoes and other severe weather. DC74 maintains a Service Level Agreement with a national provider of commercial portable power in the event of an on-site generator issue. Huge, powerful, and redundant are the name of the game at H4Y's premier East Coast datacenter. United States Secure Hosting Center in Monticello, IA (close to the geographical center of the United States) is home to H4Y's "disaster-proof" cloud, VPS, dedicated, and colocation hosting clients. Established in 2003 to provide total redundancy for a local ISP, USSHC has expanded to offer full disaster recovery and collocation services to a wide variety of consumers. USSHC provides a full range of services from its secure data center in their military-built, hardened, underground facility. Designed to survive and operate normally during a major disaster (including a nearly direct EMP blast or nuclear strike), the facility has been a premier choice for leaders in internet services, technology start-ups, and Fortune 500 companies. USSHC is a privately held company based in Eastern Iowa. Cascade Divide in Bend, OR is H4Y's latest 40,000 square foot West Coast addition. Powerful servers at a very low price point has never been so possible due to the relative low cost of utility power in this Pacific Northwest location. The state-of-the-art datacenter in Bend provides diverse power, seismic stability, highly efficient cooling environments, and redundant high capacity fiber connectivity located along major fiber routes. Cascade boasts advanced infrastructure that translates into scalability for H4Y clients with low latency and constant security. Fiberhub in Las Vegas, NV provides another low cost West Coast alternative featuring a safe, secure environment for your IT infrastructure in the 14,000 square foot facility. Multiple diverse fiber providers available in the facility and a location nearby major fiber routes helps to bring the cost of bandwidth down. Battle-proven diesel generators and N+1 network, power, and cooling redundancy keep operations running without the slightest hiccup. H4Y houses our line of high bandwidth, unmetered dedicated and colocation hosting clients at this location. Host4Yourself's servers are top of the line, purchased BRAND NEW, and constantly upgraded to the latest specs. Nothing white box here. All hardware is server-grade and manufactured by HP, Dell, and Supermicro. We pay careful attention to load, security logs, and bandwidth usage. Our security experts constantly perform security audits, upgrade Operating Systems, and software to stay on top of the never ending "exploits" that hackers commonly take advantage of. 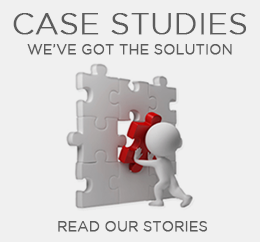 We make use of the latest and greatest hardware and software based firewall and intrusion detection systems available. The key to competition in the webhosting industry is to become known for going the extra mile. Rest assured that only the best hardware, software, and knowledge is right here at H4Y!